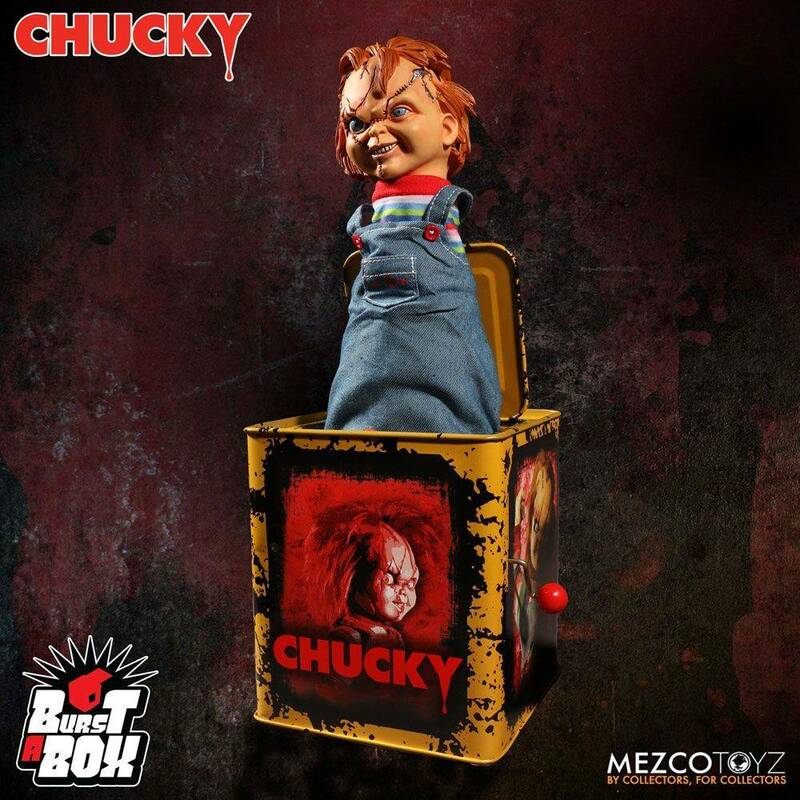 Introducing Mezco's Burst-A-Box! 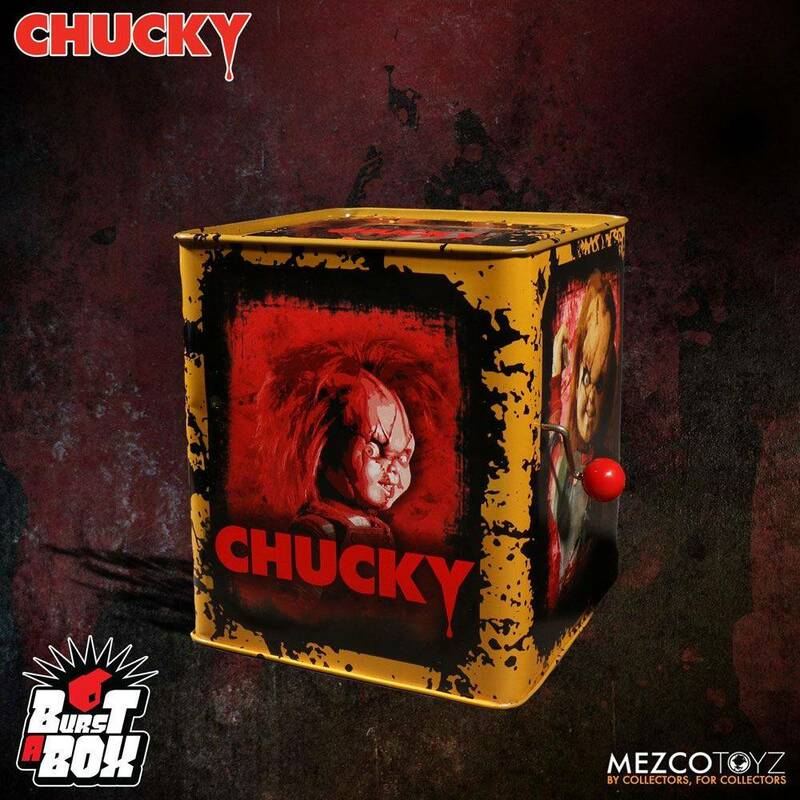 A pop culture infused twist on one of the most beloved, classic toys, the jack-in-the-box. 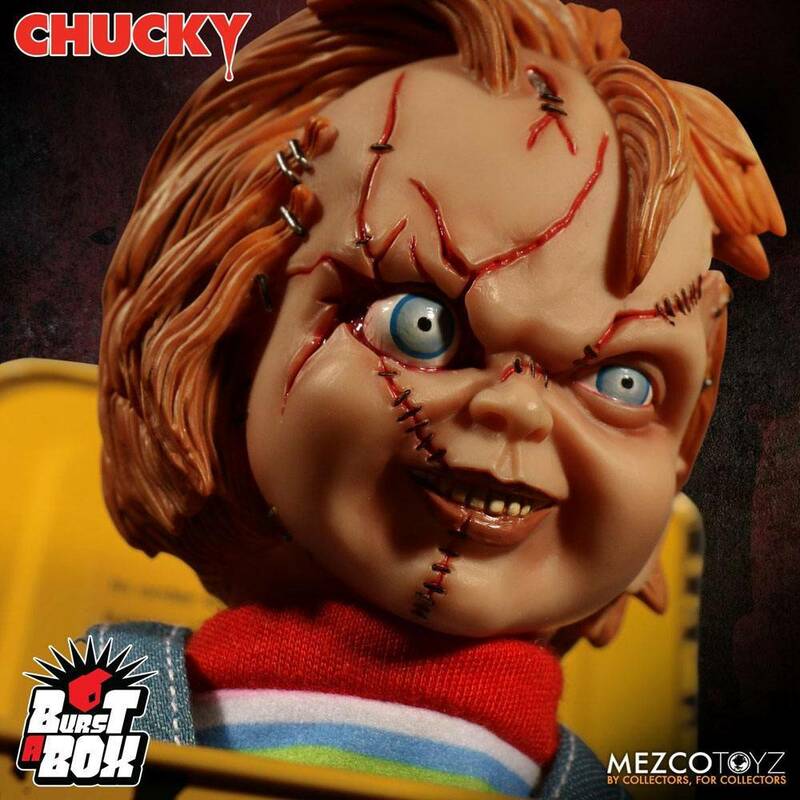 The Bride of Chucky Burst-A-Box features Scarred Chucky - the infamous homicidal doll containing the soul of a serial killer. 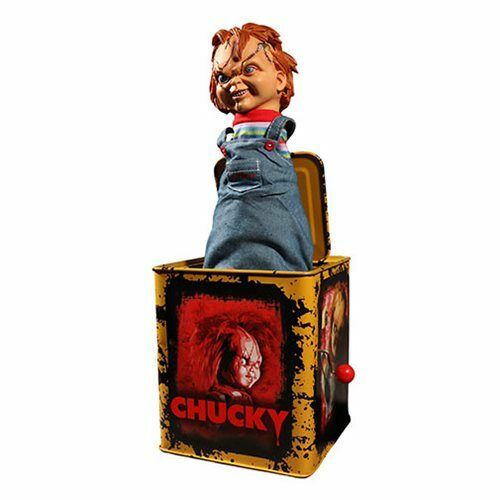 Approximately 14" tall when "popped", the Burst-A-Box is a finely detailed tin music box that encases a detailed sculpt and clothed spring character. 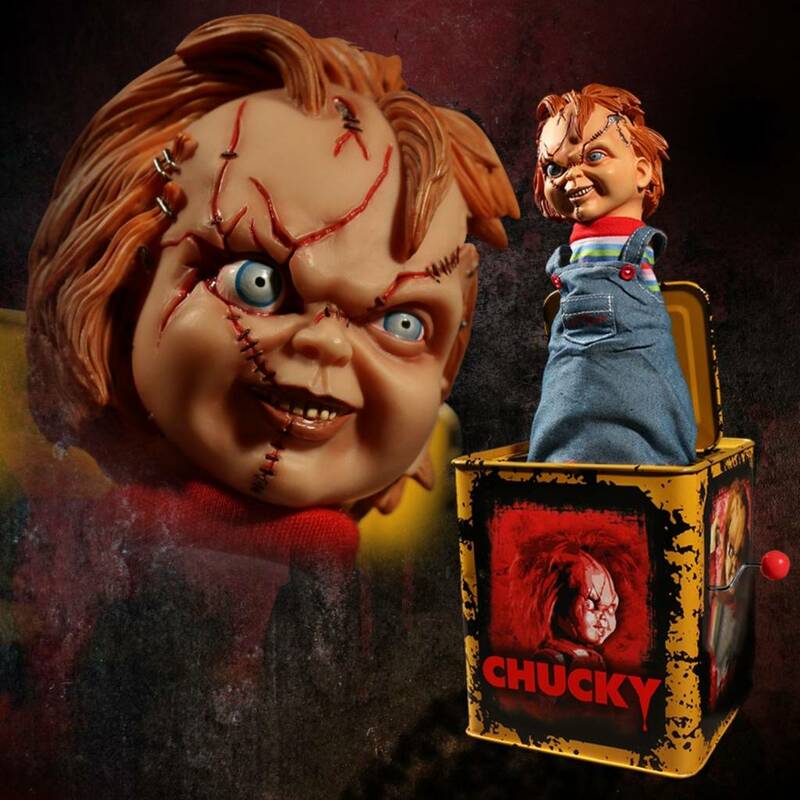 Designed after his appearance in the film, Chucky features a scarred head sculpt and sports his signature 'Good Guys' overalls with stripped shirt. Burst-A-Box: Scarred Chucky comes packaged popped-out of his tin and perfect for display in a collector-friendly window box.